Storm Brand released in Patch 3.5 Betrayal, and has already become one of the most popular and all-round powerful in the game, as well as one of the best skills for leveling and league-starting. While it did receive a few small tweaks in Patch 3.6 Synthesis, which hurts the clear of the build a little bit early on, though it remains quite good overall relative to other builds. Shifting the build to a more Critical Strike based version gives more punch and feels a little smoother once you hit the proper end-game gearing phase. Overall, Storm Brand is still a very high-tier build as an all-in-one character that can function on any level of budget. Storm Brand is a skill that can clear extremely quickly and safely, and feels vaguely similar to a self-cast Arc build, albeit with a ton of additional advantages. For example, during early gearing progression, tougher opponents can be easily dealt with by attaching your brands before retreating to a safe distance. This style of guerrilla play is especially beneficial versus the Immortal Syndicate, some of which can be quite lethal to a mid-geared Exile first approaching Elder maps. General mapping gameplay matches the style of other fast-clearing spells, with much of the focus being on the correct utilization of movement skills. Storm Brand itself will typically deal with all standard packs, including Rare enemies, in only a single cast. This allows for a greater focus on speed and positioning, which allows for superlative efficiency in clear and a really entertaining and “zippy” playstyle. Most of your clearing is done by activating several Storm Brands, then using Shield Charge to enter packs and proc Fortify Support. After charging into a pack, immediately hit Brand Recall to bring all your damage to bear. You will generally be hitting your Brand Recall nearly on cooldown, hence when Empower Support is used to further lower the recharge period. Storm Brand is only really used to “maintain” your brands, so that they are active, but is not used as the primary clearing button itself. This is our recommended tree for this build. As you may notice, it has many similarities to other popular Elementalist builds, such as our Triple Herald Blade Vortex Elementalist, utilizing the newly introduced Brand notables to specialize our damage. Stacking Life, Mind Over Matter, and Phase Acrobatics grants us three primary layers of defense that even the toughest bosses will struggle to completely penetrate. While this build is not invincible, nor a “facetank the world” build, there are few enemies that can one-shot it without leaving room or time for counterplay. If it is early in the league, or currency is tight, save some of the Jewel sockets for a last layer of icing on the cake once you are in the 90s. You will want to invest into Acrobatics fairly early on, as it greatly eases the leveling process and removes much of the potential of troublesome stun-chains. Storm Brand and Brand Recall are our primary skills for clear, while Lightning Spire Trap is used to provide additional damage for bosses. We only run a single aura; Herald of Thunder, which is used to apply Elemental Weakness via Curse On Hit Support. Shield Charge helps us get around quickly while maintaining the Fortify Support buff. The links are listed in order of priority. Ice Bite Support is an alternative option in place of Added Cold Damage Support, offering greater defense at the expense of damage. 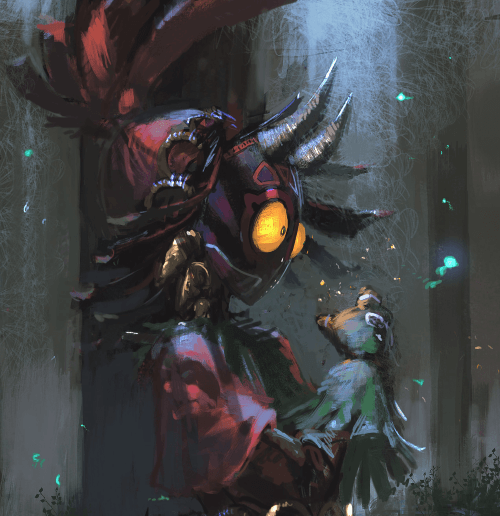 This link will help bolster your single target damage immensely early on, although it is not entirely necessary once strong end-game gear is required. Since there are not a lot of other competitive options, we recommend using this link even with strong gear, as it eases the difficulty of many bosses and allows you to lay down a lot of damage in advance (Izaro, for example). This can be easily turned into a pseudo 5-Link by obtaining a pair of Shaped gloves that have the Trap and Mine Damage Support suffix. This can be further upgraded to a pseudo 6-Link by additionally obtaining the Faster Casting Support suffix, although finding a pair of gloves with both and a good Life roll can be somewhat of an investment. Shield Charge is our primary mobility skill, mainly due to its speed and ability to proc Fortify Support. Whirling Blades is a perfectly viable alternative, should you prefer it, but requires different gearing. Swap out Blood Magic Support for Multiple Totems Support if you are using Shaped Decoy Totem boots. Due to the Runebinder keystone we take, this support gem is necessary to utilize a Decoy Totem. This is a standard link for many builds, and can be adjusted as you see fit. Warlord's Mark and Flame Dash, for example, can be replaced with Increased Duration Support paired with a Vaal skill of your preference. Flame Dash is often used in our builds that utilize either Whirling Blades or Shield Charge as the primary mobility skill, due to their severe limitations in certain environments, such as the Labyrinth along with many map tilesets (Shrine, for example). Herald of Thunder is a nice damage boost, and applies curses to enemies at range, further boosting our clear speed. Empower Support can be swapped out for Flame Dash, allowing you to use a Vaal skill in your CWDT link. Elementalist is the ideal Ascendancy choice for this build, as it compliments ailment builds very well and offers a significant amount of additional damage and quality of life. The actual order of Ascendancy is not of particular importance for this build, as all four nodes offer strong but varied benefits that can be altered based on preference or available leveling gear. Having access to a Tabula Rasa early on, for example, greatly increases the effectiveness of Beacon of Ruin, due to the additional cold gems you will be using. Shaper of Desolation is the first node we recommend taking, offering a consistent benefit through ailment application. While not a spectacular node in and of itself, it is a noticeable power increase and, more important, unlocks the way forward to Beacon of Ruin. Beacon of Ruin is a superb Ascendancy node for our build, empowering our ailments. While this is certainly a welcome damage injection, it is also a healthy increase to our defense potential via the spreading of chill and freeze effects. The spreading of our Freeze and Shock effects, in particular, is immensely valuable. Pendulum of Destruction grants a cycling buff, alternating between increased Area of Effect and increased Elemental Damage, both of which are consistent increases to clear speed and damage. Mastermind of Discord grants 25% penetration on virtually all of our damage output, a very valuable addition when facing bosses, in particular. The reduced Mana reservation is a nice bonus, allowing for a larger unreserved Mana pool to act as a buffer for Mind Over Matter. You should kill all three bandits for the Passive Points it provides. Alira is an alternative choice, which can be extremely valuable for league-starters or solo-self found characters, mainly due to the large resistance bonuses it provides. Once end-game is achieved, and proper gear acquired, however, it is recommended to shift to the 2 Passive Points. Soul of Arakaali is a great all around choice in Betrayal, especially when fully upgraded. Soul of Lunaris is a good choice for general clearing and mapping, offering a stable all-round damage intake reduction. Soul of Solaris remains a great choice for general bossing when fully upgraded. Soul of Tukohama is a good choice for certain bosses, such as Uber Elder. Soul of Ralakesh is a good choice for situations where you face lethal bleeds, such as Uber Atziri. Soul of Gruthkul is a good choice for general mapping if you feel you need the additional Physical reduction, and well paired with Lunaris. Loreweave is now the best chest for damage and still provides excellent all around Defense, despite recent nerfs. Carcass Jack is our go-to budget Unique chest, providing everything we could need. Extra Area of Effect and Damage, Life, Resists, solid defenses, and of course, Extra Gore. This is a good chest to use while getting into Maps, and look to upgrade to Loreweave once you can afford to itemize more heavily into Crit/Crit Multiplier on your Jewelry. Inpulsa's Broken Heart, while seemingly a tempting option, does not offer the same damage and clearing potential, as the explosions can occasionally disrupt your brand flickering, and lacks the area of effect bonus of the Carcass Jack. Tabula Rasa is a perfectly viable option and should be preferred over a 5L Rare or Carcass Jack, particularly if Beacon of Ruin is already unlocked. This is a very flexible slot, and can be easily flexed for whatever your build needs at the moment. Our recommended Storm Brand enchant is Storm Brand has a 18% chance to Chain an additional time, as we are already supplementing our single target damage with Lightning Spire Trap, which is what the other enchants aim to bolster. With extremely potent gear, this enchant is even comparable or superior on single target as well. This optimization is a small one, however, and any enchant will work. It is possible to craft a helmet with fossils that has -% Lightning Resistance to nearby enemies. This is done using the Metallic Fossil, and then reforging using resonators. While this affix is quite potent, it is not necessary to begin end-game mapping and can be saved for a later upgrade. We crafted this helm ourselves for only a few chaos. Gloves can be filled by a variety of options early on, however, our ultimate plan is to upgrade to a pair of Shaped Rares that have the Trap and Mine Damage support suffix. This allows us to drop the Trap and Mine Damage Support gem from our Lightning Spire Trap 4-Link, replacing it instead with Lightning Penetration Support. A Shaped pair of gloves supported by Trap and Mine Damage and Faster Casting is the best possible upgrade, however, it should not come at the expense of all your defensive rolls if leveling and/or survival is a concern. Boots should be used to fill in Resistances and Life. Be sure you have a strong Movement Speed roll, as it is one of the most essential stats to boosting your clear speed. A luxury option is a Shaped pair of boots supported by Decoy Totem. 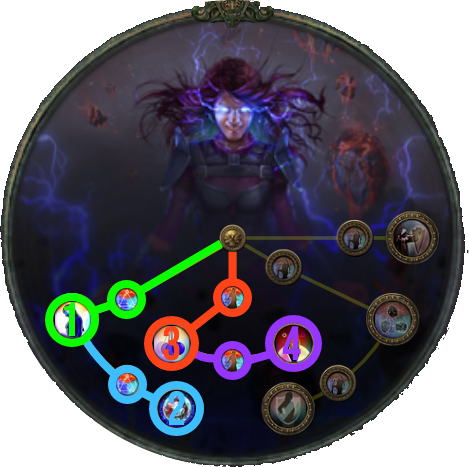 A Multiple Totems Support gem will be necessary within the link, however, as the Runebinder keystone applies -1 to maximum number of summoned totems. The first two stats together are more than enough to create a potent weapon, and the rest can be crafted using the bench. Such weapons are usually very cheap early in the league, and can be purchased for a fraction of an Exalted Orb. Magna Eclipsis is an excellent option that combines offense and defense. The Elemental Aegis provides a fair amount of defense against “rogue wave” style one-shots, provided they are elemental damage. It feels especially good in Betrayal, with many of the current Syndicate members dealing massive amounts of burst elemental damage. The +2 gems is also a great combination with our Brand Recall, as it benefits quite noticeably from each increased level. Invictus Solaris and Vix Lunaris are totally fine alternatives, and provide status immunity, which can be nice for some players. They are generally more cheaply obtained, which is a nice bonus. A Rare amulet should be used. Early on, you may want to swap out the Silver Flask for an Eternal Mana Flask. Can I Level with Storm Brand? Yes, absolutely. Storm Brand feels quite comfortable while leveling, even if it is not the absolute best leveling skill out there. As long as you have a second link for Lightning Spire Trap, you should have little trouble with any bosses all the way until mapping. How Should I Play in Maps? Create a few Storm Brands, then Shield Charge around the map, slamming Brand Recall as often as possible. Ensure you have good flask uptime, and you should feel quite tanky with the Fortify Support buff active, even in minimal gear. How is This Build in Delves? This build delves quite comfortably, although the maximum depth is quite variable based on gear. So far, the deepest we have experienced is around depth 600. 05 Mar 2019 Updated Weapon section, added new stat priorities and explanations. 06 Feb 2019 Greatly expanded "Leveling" section and added Leveling Trees. 31 Jan 2019 Updated and expanded "Gems" and "Playstyle" sections of the guide! 08 Jan 2019 Guide added.